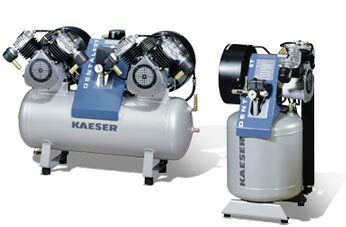 KAESER is the world leading brand of Air Compressors for trade and workshop applications. Being part of the KAESER dealers and after sales service network, RESITECH Ghana Ltd. offers sale and service in Ghana and neighboring countries. With RESITECH, maximum operational reliability is assured at all times. As the sole distributor of the KAESER Air Compressors, RESITECH offers the full range of KAESER Compressor and Compressed Air products for sale in Ghana. KAESER Rotary Screw Compressors use proprietary SIGMA Profile technology to deliver outstanding efficiency, Rotary Screw Air Compressors are built to run 100% of the time providing the full rated CFM continuously. Stationary Oil Free Reciprocating Air Compressors, Piston Air Compressors for workshops (available as Oil Lubricated Air Compressors for industry). Powerful portable Air Compressors with advanced, fuel-saving motors, heavy-duty chassis with optimal maintenance point accessibility, designed for simple, intuitive operation. 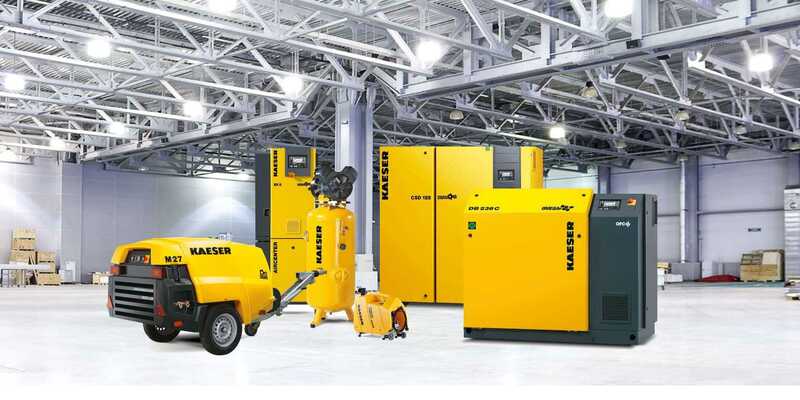 Portable Air Compressors from KAESER - from small to large, wherever you are. Designed to make your work easier! Low-maintenance KAESER Blowers deliver compressed Air quietly and efficiently for a wide range of applications. KAESER compressed Air systems for storage, distribution and regulation ensure efficient operation and reliable equipment protection. Maximum energy savings with intelligent integrated controllers for your compressed Air system! 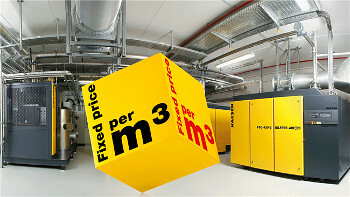 you pay a fixed price that covers an agreed quantity of Compressed Air. which means no price increases. We are constantly available to serve you! © 2007-2019 RESITECH Ghana Ltd.